So much of the news about the upcoming presidential elections has been centered on the two major candidates Hillary Clinton and Donald Trump. 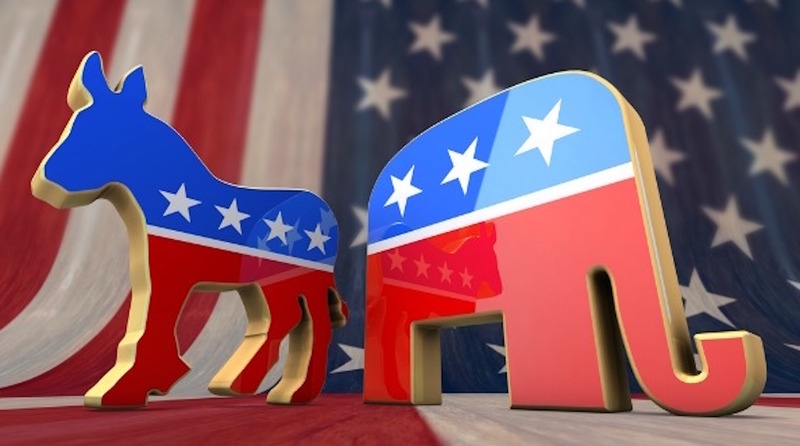 But behind it all one needs to look at the two visions that undergird the two major parties: The Democratic Party and the Republican Party, and where they stand on the issues. 1. PRAY – The call to prayer has gone out by many leaders and from many organizations. Let us pray that God will move in the midst of this somewhat chaotic time. Let us remember the promise of 2 Chronicles 7:14. Voting is both a privilege and a responsibility. So make a commitment to vote! After preparing the Langstaff Letter, information has surfaced about both Donald Trump and Hillary Clinton. No one can approve or defend the comments Trump made in the ten year old video tape. His comments about women are disgraceful. No one can ignore the facts contained in the wikileaks Podesta emails, which confirm many of the controversies that we have already known about Clinton, such as the questionable relationship between the Clinton Foundation and its donors. We come back to the purpose of this letter – People need to look at the visions that undergird the major parties and vote for whichever they stand for!